Well, I figure that now is as good of a time as any to get "back on the horse." I've been ignoring this far too long, and figured that I either need to update, or take this down. I chose the update route. When I started this blog, I posted a picture daily. I wound up stressing out over getting a photo up every day, and wound up posting some I was less than happy with. I'm not going to make the same mistake this time, and only post things when I feel happy with them. I figure that a more relaxed attitude to posting will make it less of a chore to maintain and make me post more often. 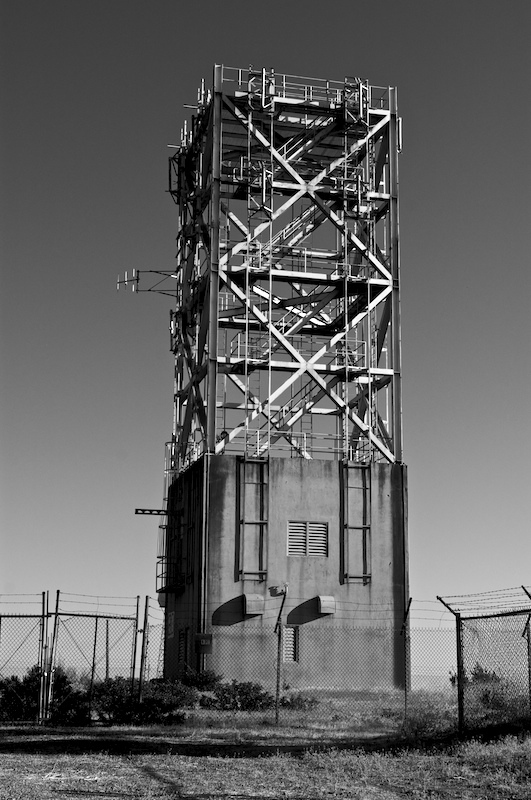 Anyway, this is a shot of a communications tower of some sort on top of Mt. Vaca, outside of Vacaville, CA. It's one of many that dots the hillside, but it's by far the most interesting. It's long since been stripped of its equipment, and thus, I can't ascertain it's original function. It just sits there now, ghostly and abandoned.